There is no doubt that collaborative platforms offer new services – or a wider variety of pre-existing ones – in a way that overall is beneficial to consumers. Hence, for instance, tourists nowadays have a much wider variety of accommodation choices, at a much wider array of prices. 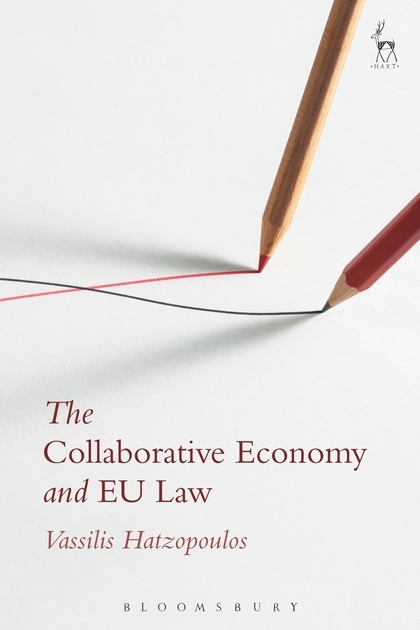 However, a proper assessment, under competition law, of the role of collaborative platforms is not easy: their disruptive nature, their participation in two-sided markets, the network effects produced, the use of sophisticated algorithms and the plurality of peer-based business models employed, test the applicability and sufficiency of existing competition rules, originally intended to regulate traditional markets. This is true both in the area of antitrust and of state aids. The term ‘undertakings’ has been interpreted by the Court quite broadly in the sense that it ‘encompasses every entity engaged in an economic activity, regardless of the legal status of the entity or the way in which it is financed’. Any activity consisting in offering goods and services on a given market is an economic activity. Hence, the vast majority of suppliers of the underlying services perform economic activities. Two questions, however, are raised in the context of the collaborative economy. First, the intermediation offered by the platform and the supply of the underlying service offered by individuals correspond, in principle, to two distinct undertakings. However, is this still true in the cases where collaborative platforms do not act merely as digital intermediaries, but rather perform, or substantially participate in, the underlying service as well? In other words, is Uber, after the CJEU’s judgment, to be considered as performing the (composite) economic activity of intermediation and supply of transport, and thus qualify as a single undertaking along with its drivers. Second, and related to the previous question, are service providers who are tightly controlled by the platform – in a way akin to its employees – undertakings at the first place? This question of the existence of an employment relationship in the collaborative framework shall be extensively discussed in a forthcoming post. It need be noted here, however, that contrary to traditional employees, and independently of the level of control exercised on them by the platform, most suppliers of the underlying service continue to bear the financial risk of their activity. Which means that an unprecedented legal situation may arise, where the same person could simultaneously qualify both as worker (as strongly dependent from the platform) and us undertaking (as bearing its own financial risks). The first question raised here, with which the reader is by now familiar, is whether the platform also participates in the downstream market. Connected to this is the question whether the agreements it enters with the suppliers qualify as being horizontal or vertical, the former receiving a much more lenient treatment by competition authorities. But even in the cases where the platform is only active in the upstream market, ie that for intermediation, difficult questions are raised. This market is inherently two-sided: the platform gets money and gathers market-share both in the market of suppliers and in the market of final consumers. While the two markets are strongly interconnected by means of the externalities produced, participants in each market-segment may have opposing interests (the supplier strives for higher income, while the consumer for lower prices). Hence, the question: do platforms operate on one (two-sided) or two separate relevant markets and, if the former is true, which market segment is relevant and how is it to be taken into account? This is important essentially because practices – such as eg offering goods or services for free – may be abusive if the two markets are being examined separately while they may be justified in a two-sided market if they create externalities favourable for the other side of the market. Unfortunately, also in this respect, the Commission’s practice and the Court’s case law are not coherent. A second question concerning market definition is whether the platforms participate in the same product market with the traditional providers, eg Airbnb and Hilton Hotels. Further, the facility with which platforms – being mere intermediaries – may diversify their intermediation over different kinds of services, makes it particularly difficult to range them in any given product market: for instance, is Uber to be classified in view of its activities under UberPop (regular urban transport), UberLux (limos) or UberKitten (transportation of animals)? In traditional markets the two questions above would be answered by demand substitutability, as determined by the consumers’ reactions to the products/services’ prices, under the SSNIP (small but significant non transitory increase in price) test. However, the SSNIP is not appropriate for two-sided markets, as i.a. it is not clear in which side of the market should the price increase be observed; it does not account for the existence of externalities (i.e. a price increase in one side of the market could switch users away from that side, but could attract more users on the opposite side); is not fit for markets based on “freemium”; and it does not properly account for technologic advances. Therefore, alternative criteria, such as e.g. the intended use of a platform need be taken into account by competition authorities. A further question is whether the regulatory framework to which each activity is subject should be taken into account in order to determine the product market. An answer in the affirmative – since the rules determine to a large extent the characteristics of the service – would give to public authorities the power to shape markets, an outcome to be avoided. When it comes to the definition of geographic market a core distinction should be drawn between fully digitalised services (also called online labour markets, OLMs, such as text editing, translation, coding, accountancy services etc) which are subject to world-wide competition and services which are materially delivered to the recipient through personal contact (also called mobile labour markets, MLMs, such as transport, accommodation, personal services, dog/baby-sitting etc) which may be easier to localise. shares are not necessarily indicative of market power and, therefore, of lasting damage to competition’. Moreover, some characteristics specific to the collaborative economy reinforcing or limiting market power need be taken into account. Reinforcing factors are a) network externalities which may give rise to “superstar economics” and “winner takes all” dynamics, thus easily leading to “tip” a market; b) the possession of important amounts of big data, which may itself constitute an important barrier to entry since it may be impossible or extremely onerous for competitors to replicate it; c) the relatively high switching costs between platforms, for essentially low-cost services where it is difficult to propose any spectacular price reduction in order to undercut incumbents. On the other hand, factors such as the limited temporal market due to the ever-present role of technology and the possibility for platform users, on both sides, to “multi-home” i.e. use several platforms at the time and swiftly switch from one to the other, severely restrict the possibility to find the existence of market power. In view of the novelty of many of the factors mentioned above and the uncertainties surrounding their actual application, it is submitted that a strong indication of a platform’s dominance would be its reluctance to innovate. See Case C-180/98 Pavlov and Others EU:C:2000:428, para 75; HERE. On two-sided markets under competition law, see L Filistrucchi et al, ‘Market Definition in Two-Sided Markets: Theory and Practice’ (2014) 10 Journal of Competition Law and Economics 292-393. Compare eg Travelport/Worldspan (Case COMP/M.4523)  OJ L 314/21, where the Commission found in favour of a single two-sided market with MasterCard (Case COMP/34.579), EuroCommerce (Case COMP/36.518), Commercial Cards (Case COMP/38.580)  OJ C 264/8 and Visa Europe MIF (Case COMP/39.398)  OJ C 79/8, where it found to the opposite. This was the case in the Commission’s Microsoft/Skype merger evaluation; confirmed by the GC in Case T-79/12 Cisco Systems Inc and Messagenet SpA v Commission EU:T:2013:635. Microsoft/Skype (Case COMP/M.6281)  OJ C 341. Case T-79/12 Cisco, para 69. Although the Commission so far has resisted the qualification of big data possession as a barrier to entry see eg Telefónica UK/Vodafone UK/Everything Everywhere/JV (Case COMP/M.6314)  OJ C 66; Publicis/Omnicom (Case COMP/M.7023)  OJ C 84, confirming previous practice.